How does one say ‘Thank You’ for saving a life?! In her early sixties, Chava was a young grandmother to seven grandchildren. She was looking forward to many milestones in the future until she discovered that her future was very uncertain indeed. Twelve years ago, she had been diagnosed with lymphoma. A self-transplant of stem cells resulted in a cure and the nightmare seemed to be over until several years later the disease returned. Would there be a cure this time? Only if a transplant can be performed using the stem cells of a genetically matching donor. The procedure was not difficult but finding this mysterious donor whose DNA corresponded to hers seemed to be nothing short of miraculous. He could be any place where Jews of her ethnic group have settled…South America, Canada, US, Australia, Europe. Anywhere. 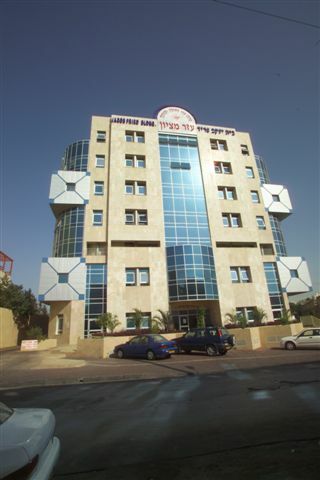 The first step was to contact Ezer Mizion, the largest Jewish registry in the world with its database of over 800,000 potential donors. And, lo and behold, there he was, right there in Israel. Will a life saving DNA match be found? 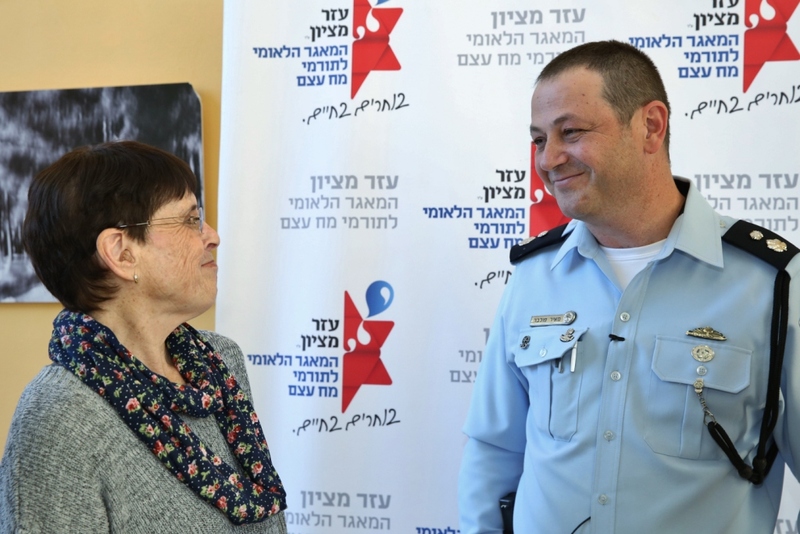 Meir Pulver (43) spends his days protecting Israel’s population. 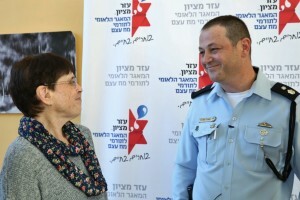 He is Chief Superintendent of Israel’s Police Force. But that was not enough for this caring father of three. He wanted to do more. When he came across a request to join Ezer Mizion’s International Jewish Bone Marrow Registry, he didn’t hesitate. An opportunity to save a life? Of course. Who would not want to join? It would just take a little bit of his time. And so a few minutes filling out paperwork, a painless cheek swab and he was on his way. Little did he realize that in only a short while, he would receive the momentous phone call: You have a chance to save a life! There was further testing. In one home in Israel the air was electric. Would Meir truly be able to save a Jewish life? And in the other home, tensions ran high. Would a matching donor ever be found? And then the phone rang. In two homes. Almost simultaneously. Yes! Yes! An excellent DNA match. Now things began to move quickly and it was not long before Meir’s cells were circulating in Chava’s veins. “Two days before my birthday, I found out that the stem cell donation I’d received had been accepted and my body had started producing its own cells,” she relates. “I felt as if I was reborn.” Chava’s husband is thrilled to have his wife back once again healthy and in great spirits after the very agonizing period they both went through. Together they look forward to watching their grandchildren grow up. Meir’s father had recently passed away and he felt doubly blessed at being able to both save a life and provide merit for his father’s soul during the first year of mourning. International law does not allow donor and recipient to meet until after one year and so the two families waited, counting the days and yearning to express themselves. The meeting took place a few weeks ago in the Ezer Mizion Cancer Support Building. Chava’s family gathered and began watching the door. Soon it opened. The two groups were drawn to each other like magnets. How could it be otherwise when the blood of one flows through the other. “We met an amazing person. A humble, noble young man,” said Chava’s family. Ezer Mizion’s International Bone Marrow Donor Registry was established about 20 years ago and today, includes 841,356 potential donors. Thanks to the Registry, 2,350 lifesaving transplants have already taken place. We’re one family with Jews around the world contributing funds to do the DNA testing, enabling every person to be a partner in saving human lives. This is our essence – each Jew responsible for his neighbor.